Report of Kuwait's camera ban was a hoax! Kuwait Ministries have not banned DSLR (digital single lens reflex) cameras in the region, according to a retraction printed by the Kuwait Times. The newspaper issued an apology after their story, released on November 20, was proven false. Further investigations by the Kuwait Times revealed that the Ministries of Information, Social Affairs and Finance never prohibited the use of DSLR cameras by the general public.The newspapers story claimed that amateur photographers were finding it hard to take photographs in public and some were switching to doing abstract and still life photography rather than taking photographs of people in public. Veteran newspaper columnist Don Martin has been named the new host of CTV News Channel's political flagship show "Power Play." Martin joins the network with three decades of experience covering municipal, provincial and federal politics for the National Post and Calgary Herald. He takes over from veteran host and reporter Tom Clark, who left CTV in September after almost four decades with the network. "Power Play" has since featured various interim hosts including Martin, who sat in for one week at the end of September. Martin is expected to start full-time in mid-December. McGuinty, Hudak meet to try to keep election campaign "civil"
The 15-minute meeting was held at Hudak's request. Such a meeting is thought to be unprecedented in Ontario's recent history. It follows comments by Liberal strategist Warren Kinsella, indicating Hudak's wife (pictured) could be fair game in the upcoming election. Deb Hutton is a former senior political aide to Tory premiers Mike Harris and Ernie Eves. "They put her in commercials, so they're kind of putting her out there, which kind of surprised me," Kinsella said earlier in November when asked whether Hutton would be off limits. Hutton was also named in an October Liberal release as one of a four Harris-era "Tories at the trough". A leaked Liberal strategy document also discussed the possibility of using Hutton in the upcoming campaign, which culminates in an Oct 2011 election. The draft document raises a possible "Deb Hutton: two for the price of one spoof." Planet Guys say: Good luck guys! Arianna Huffington, co-founder of the Huffington Post news website and blog, says despite dwindling circulation numbers, she doesn't think the newspaper is dead. "As long as there are people who grow up with newspapers as I did, there are always going to be newspapers," Huffington, 60, said Monday during a stop in Toronto. "I still subscribe to seven newspapers and I love reading my news in print as well, of course, as constantly being online. So I think this can be the golden age of journalism." The Huffington Post publisher and editor-in-chief was in town to speak at an event organized by the Women's Executive Network honouring the country's highest achieving female leaders. Huffington planned to focus on the theme of "fearless leadership" in her keynote address. Astral Media Inc. has inked an agreement to beam its radio stations to mobile devices across Canada under a three-year deal with UBC Media Group. The pact will include the creation of software applications for smartphones that allow listeners to enter contests, use social networking, stream live music events, buy music and interact directly with on-air personalities and with each other, Astral said Monday. All of its 83 stations are included in the agreement. Scheduled to go live in early 2011, the mobile applications will be compatible with Apple's iPhones, BlackBerrys and Google-powered Android smartphones. Lillian Duffy, Mike Duffy's Mom dies in P.E.I. From the funeral home entry; "Peacefully at the Queen Elizabeth Hospital on Sunday, November 28, 2010 of Mrs. Lillian B. Duffy (nee McCarron) of Charlottetown in her 93rd year. Beloved wife of the late Wilfrid F. Duffy Lt. Cdr. RCN and dear mother of Michael (Heather) of Cavendish, Peter of Abu Dhabi UAE, Moira (Brian) Gough of Stratford, Philip of Montreal PQ and Claire (Joe) Borden of Summerside. She is also survived by five loving grandchildren and four great grandchildren." “The Toronto Star has every right to ask my daughter if she wishes to adopt a more public posture. In turn, she has every right to expect that when she says no, her answer will be respected with the same degree of dignity and courtesy that she always takes care to demonstrate,” Coyne wrote. English wrote: "As a mother, that strikes home. The idea of a journalist observing my daughter and taking her picture for a story that robs her of her desired anonymity disturbs me. Many newsroom moms expressed this same sentiment this week. "Of course, our daughters aren’t the offspring of a former Canadian prime minister and there is indeed 'curious public' interest in this young woman. "This story was much debated in the newsroom, in the blogosphere and on Twitter this week. In weighing the public interest with this young woman’s desire for privacy, I have to agree with the Star editor who rejected a freelance writer’s pitch to report on Sarah Coyne’s university life many months ago." Two weeks ago, Ray Stanton (centre) read in the National Post that the Quebec Chronicle-Telegraph, the oldest continuously published newspaper in North America, had disappeared from newsstands and was in danger of going under after nearly 250 years of existence. Last Thursday, Stanton, president of an Ontario company that builds and manages university residences, and the current publisher, Pierre Little (left) announced they had reached an agreement for Stanton to purchase majority ownership of the newspaper that publishes once a week. Little retains a minority interest. Stanton has no connection to Quebec City nor does he have a background in publishing. But the idea that a publication with such a storied past could be allowed to die struck him as wrong, and he decided to get involved. "This is a great opportunity to save a newspaper with a history of 246 years, and you don't find very many newspapers with that kind of history," Stanton said in a statement. Canadians are about to get a third 24-hour English-language cable news channel, and it’s one that plans to shake up the industry. The CRTC approved a five-year licence for Sun TV news service Friday — referred to by critics as Fox News North — to go into direct competition with CBC’s News Network and the CTV News Channel. The federal regulator’s green light was considered a sure thing after Quebecor Inc. dropped its request for a special licence that would have required cable and satellite carriers to offer the service. The Category 2 competitive licence that it was granted means Sun TV will need to negotiate with cable and satellite carriers for a place on their lineup. Last summer, Quebecor officials argued that failing to be designated as a must-offer channel like the CTV and CBC news services would doom the enterprise. But the CRTC had previously ruled that no such licences would be issued because it was dropping the category next September. 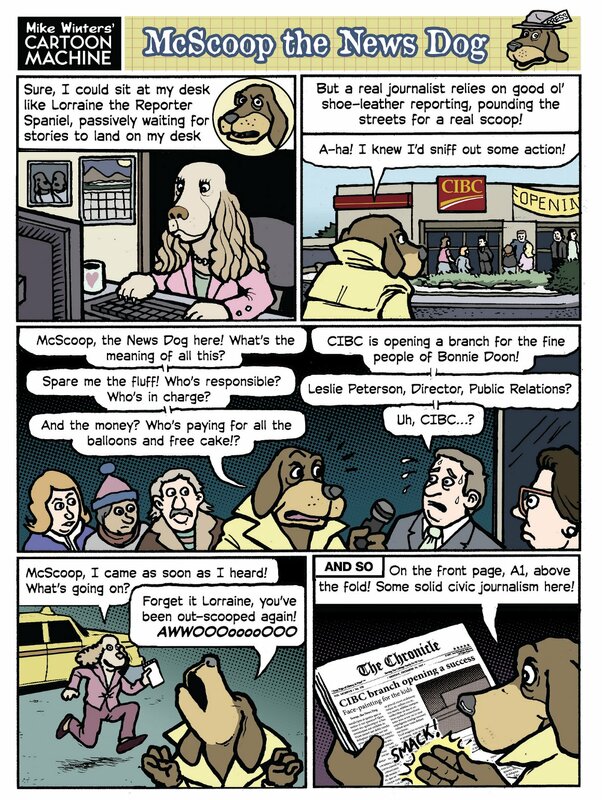 After 93 years as a co-operative, The Canadian Press is being transformed into a for-profit business under new owners. Torstar Corp., The Globe and Mail and Square Victoria Communications Group announced Friday they have invested in a new for-profit entity, Canadian Press Enterprises Inc., to take over the operations of the Canadian Press. Torstar publishes the Toronto Star. Square Victoria is the parent company of Gesca Ltée, which owns La Presse of Montreal. Terms of the deal were not disclosed. Each of the owners will be equal partners in the venture and has invested new working capital in the company. The change in the ownership structure will allow the company to cover its pension needs and take advantage of future business opportunities, Phillip Crawley, publisher of The Globe and Mail, told the Toronto Star. Ralph Benmergui is leaving his radio show behind to devote himself full time to politics. The former CBC host's last broadcast as host of JAZZ FM91's morning show aired Friday. Benmergui has been working for months for Ontario Research and Innovation Minister Glen Murray, but it wasn't officially confirmed until Friday that he had accepted a job as Mr. Murray's director of communications. JAZZ-FM announced that Benmergui will be replaced by John Donabie, a radio veteran and long time jazz fan. Call us callous but if strippers don't expect to get the odd leer, there is no hope for common sense. They worked at the Zanzibar tavern. It's been a while but it always seemed to be surrounded by buildings with windows. (Not that the TPG ever entered the place). But windows all around. High and low. That would be a warning sign. In any case, the Ryerson librarian who took the pictures meant no harm. He's an artist of sorts. The Torontoist blog, which is only slightly less obscure than The Planet Guys, grabbed the shots off a Flickr page. Now we get the dreadful indignation from those who publisehed them for a thrill about how awful it was to take them. Please. Poor little CTV. Their executive vice president told a Commons committee today that if the government does not let BCE buy them the network "most likely (will be) broken up and sold piecemeal to our competitors." This is a pretty baroque approach even for CTV but hey, let's see if they'll buy it. Steve Jobs editing (censoring?) magazines. Hmmm. One of the first batch of Apple personal computers has sold at auction in London for £133,250 ($210,000). The Apple I came with its original packaging and a signed sales letter from Apple co-founder and current chief executive Steve Jobs. The computer, one of only 200 of the model ever made, originally sold for $666.66 when it was introduced in 1976. It was bought over the phone at Christie's by Italian businessman and private collector Marco Boglione. Story here from the BBC where you will see their video of the auction. Children's TV producer DHX Media says it has signed "multiple broadcast and home entertainment deals" with customers in Asia. In May it was announced that a milestone had been reached. Ann Rohmer's 31 year career in broadcasting has come to an end. As of today, very lttle sign of that. The Kuwait Times reports that three ministries have placed a ban on photography. It leaves your 21st centruy Kuwaiti kid bit confused about what to do with his camera What is the ban all about? The Ministry of Information, Ministry of Social Affairs and Ministry of Finance recently came to the conclusion that photography should be used for journalism purposes only. This has resulted in the ban of Digital Single Lens Reflex Cameras (DSLRs) in public, on the streets and in malls What Kuwaiti photographers wonder is how such a decision could be reached considering that digital cameras and cell phone cameras have the same abilities. We're all very calm and rather detached from things over at the Chinese news agency Xinhua. Beijing is said to have "noticed" the arterilly fire much like you might notice a pothole on the drive to work and be "concerned" about it. Just in passing, you know. Contract talks continued between the California Media Workers Guild and representatives of the Hearst-owned San Francisco Chronicle. Negotiations had broken off Tuesday morning before an agreement could be reached, but informal discussions continued throughout the day. Union bargainers said they were hoping a tentative settlement might be possible as early as tomjorrow. She's the "main event" as a celebrity publicist observed this week. Kate Middleton will have to call on all her seasoned charm to deal with the attention thrust on her now that she is betrothed to Prince William. Story from CBC.ca linked off headline. Story from the Guardian that Rupert Murdoch will launch an iPad down loadable only news service or "iNewspaper". Not clear how this revolutionizes the consumer news industry but we predict that the name will definitely not catch on. Just a little joke for CBC former health reporter Maureen Taylor who has impressively graduated as a physician's assistant, a new discipline in Ontario. Story linked above to the Globe and Mail. This is what you call the work of a good siolider. "What's been said is all rumours," Peter Bissonnette said in an interview, responding to reports in the Globe and Mail and National Post newspapers. MSNBC has suspended host Joe Scarborough (left) for making $4,000 in political donations without permission Its the second suspension of a high-profile host over contributions in two weeks. Earlier, the cable company suspended Keith Olbermann (right) a Democratic supporter. Scarborough is a former Republican congressman who now co-hosts MSNBC’s “Morning Joe” program. he apparently made eight donations of $500 to local Florida candidates in recent years. His suspension, without pay, will bar him from his weekday show for two days, and he will return Nov. 24. Apparently there is a "vertical integration" bogeyman in Ottawa. Best quote: "I am concerned. We don't want a situation that, just because we have the same carriers, we have the same voices," von Finckenstein said. Globe and Mail story containing much detail about the odd and "unprofessional" behavior of the head of Shaw Communications at an investors meeting in Vancouver. Social media campaigns played the largest part this year of any L.A. Auto Show, reflecting the rise in Web traffic to networks like Facebook and Twitter and automakers’ increasing use of social media to market their products. Almost every new car launch was live tweeted from the floor of the Convention Center Wednesday by respective company reps, and new releases like Chevy's Camaro convertible and Dodge’s Durango R/T were unveiled on Facebook and Twitter. VW got a jump on the competition by posting pics of its new Eos to its Facebook page on the night before its launch. Porsche hosted a live tweet chat with its chief sports product manager, Tim Cupp, and stablemate Audi granted interviews with its head of design Stefan Sielaff to bloggers and social media mavens before the North American debut of its A7, A8L and R8 GT models and Audi Quattro concept. Audi also live-blogged launches for the first time on Tumblr. Ford used social media to highlight its unveiling of the new Focus compact, continuing a social media campaign that built heavily on its marketing for its Fiesta launched earlier this year. Darryl Konynenbelt, who until recently was Global Toronto’s Newshour west-end bureau chief, based in Mississauga, plans to seek the provincial nomination as the candidate for the Progressive Conservatives in Mississauga South in next year's provincial election. Konynenbelt is married to Anne-Marie Mediwake, the anchor of CBC Newshour. They have three-year-old triplets. The nomination is also being sought by Geoff Janoscik, a lawyer. The riding is currently held by first-term Liberal Charles Sousa. Bidding ended at $49,279.00 on the original negatives of 17 photos of Paul Henderson's goal, beginning with a photo of Hall of Fame Soviet goalie Vladislav Tretiak stopping Phil Esposito's initial shot and on through the goal itself, including immortal shots of Cournoyer and Henderson embracing each other in the jubilant instants following "The Goal", and culminating with Esposito, Bill White, Ken Dryden and the rest of Team Canada joining in the gleeful on-ice celebration. The items were put up for auction on a site called Classic Auctions. The minimum bid was listed at $22,987.00. The Nikon camera used by Denis Brodeur (pictured) to record these historic photographs was included, though it is no longer in working order. "This remarkable collection comes with a letter of authenticity signed by Denis Brodeur, who will transfer the copyrights of these 17 historic images to the winning bidder," says a note on the site. A bronze medal-winning goalie for Canada's 1956 Olympic hockey team, Brodeur turned his passion for photography into a working career following his playing days. Established as one of the best hockey shooters in the business, Brodeur was on hand with this Nikon SLR camera at the Luzhniki Palace of Sports in Moscow for the eighth and final game of the landmark series between Team Canada and the Soviet Union on September 28, 1972. Click on the title to read the listing. 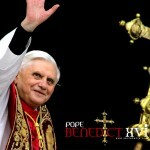 Vatican television is gearing up to make the move to high definition images in December to ensure Pope Benedict XVI's message is broadcast as widely as possible, the Vatican said Tuesday. Benedict has stressed the importance of "careful and intelligent use of both old and new communication tools", Claudio Maria Celli, head of the Vatican Television Centre (CTV), told journalists at a press conference. The move will cost up to "several million euros", said Vatican spokesman Federico Lombardi, adding that the decision to go HD was "obligatory" in light of requests from television channels for increasingly high quality images. "We can't not do it, otherwise the image of the pope in the coming years will have an ever decreasing presence in the television world," he added. Christie Blatchford has lashed out at protesters who came to an event for her book on the OPP handling of the Caledonia land claims dispute, calling them “idiots” for labelling her racist for her take on the affair. About a dozen protesters from a group called Six Nations Solidarity stood outside her appearance Tuesday night at Chedoke Presbyterian Church in Hamilton. They handed out bookmarks which claimed Blatchford's book Helpless! Caledonia's Nightmare of Fear and Anarchy and How the Law Failed All of Us did not present a true picture of the dispute because it did not provide context for the land claim and only focused on “violence and lawlessness” that grew out the dispute. Marty Gold — an unapologetically high-decibel, politically incorrect reporter and entertainer — can no longer be heard on Red River College’s 92.9 Kick FM, and his devout following of drive-home Winnipeg listeners is angrily accusing the school of squandering free speech. Last week’s sudden cancellation of the campus and community program has unleashed an unexpected firestorm, even prompting reaction from Winnipeg Mayor Sam Katz, who called Mr. Gold and the station’s manager last Monday to express disappointment over leaked news of the show’s termination. City Hall is abuzz, hundreds of listeners have joined a ‘Red River Kills Free Speech on 92.9 Kick FM’ Facebook page, the head of the Winnipeg Police Association is speaking out, and a handful of local blogs say their coverage of the melee has garnered new site-traffic records. 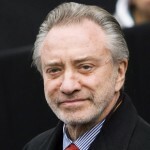 Postmedia Network Canada Corp. will remain a private company until some time in the first half of 2011, chief executive officer Paul Godfrey said on Monday. Godfrey discussed the planned stock listing following the Toronto-based media company's release of its first set of financial results following the closure of its $1.1-billion deal to buy the newspapers formerly owned by CanWest Global Communications Corp. Revenue for the three months ended Aug. 31 totalled $241.3-million, up 1.5 per cent from CanWest's revenue of $237.7-million for the same period last year. Revenues from digital operations rose 7.4 per cent to $20.4-million. Print circulation revenue was down 1.3 per cent to $59.5-million. Unions representing about 900 employees at the Detroit Free Press, the Detroit News and the Detroit Media Partnership approved a two-year contract Sunday. The agreement includes wage cuts in year one of 4.5% for employees making less than $35,000 a year and 6.5% for employees making more than that. The unions also agreed to higher contributions for health care. "Not very long ago, the typical American newsroom had three types of jobs: reporter, editor and photographer. But lately, as newspapers have been frantically converting themselves into high-tech, 24-hour online operations, things are more complicated. Every few days at The Washington Post, staffers get a notice like this: "Please welcome Dylan Feldman-Suarez, who will be joining the fact-integration team as a multiplatform idea triage specialist, reporting to the deputy director of word-flow management and video branding strategy. Dylan comes to us from the social media utilization division of Sikorsky Helicopters." Everything is different today, and it's much more confusing. . . "
In April, the Ontario Securities Commission levelled allegations of serious misconduct against Toronto based Agoracom Investor Relations Corp. and its two founders, George Tsiolis and Apostolis Kondakos. The commission accused the pair of directing their employees to pose as investors and anonymously post thousands of messages on Agoracom's website about corporate clients. The alleged purpose was to create the impression of active public interest in the shares of these client companies, many of which are based in Vancouver. On Friday, the OSC released a settlement agreement in which Tsiolis and Kondakos admitted the allegations and agreed to heavy sanctions. In particular, they admitted Agoracom reps had up to 200 aliases and "were required to make up to two posts per hub per day or risk having their pay docked. On occasion, Agoracom staff conversed with themselves on the forums using different aliases." Tthe OSC terminated Agoracom's registration as a limited market dealer, and suspended the registrations of Tsiolis and Kondakos for 10 years and ordered to pay a $125,000 penalty and $25,000 in costs. This is not the first time the Quebec Chronicle- Telegraph, North America's oldest newspaper, has ceased publication. There was that period during the American Revolution when Quebec City was under attack by the Continental army and the presses stopped. More than 200 years later, vanishing readers and unpaid suppliers are the ones battering the English-language weekly, forcing it to suspend publication three weeks ago and fuelling speculation about its survival. Founded in 1764 as the Quebec Gazette, the Chronicle- Telegraph serves an ever-shrinking anglophone population in the provincial capital, and it has not escaped the continent-wide struggle of newspapers to retain readers and advertisers. But critics in the city's English-speaking community say the newspaper's decline has been hastened by the publisher's insistence on using the paper as a forum for his conservative religious views. "The main problem is not what shows have been developed but what has been whittled away. Where are the dramas and ambitious series that tell stories about our history? . . . Even worse is the marginalization of current affairs programming, which for decades was one of the CBC’s strengths. The fifth estate has managed to stay on the air, though with fewer episodes; however, it would be a wild exaggeration to say the program is being nourished and supported. If there is one essential role a public broadcaster must play, it is to dominate news coverage. But a recent attempt to spruce up The National has flopped, and CBC continues to lag seriously behind CTV News in attracting viewers." Rogers Media has announced the appointment of two senior executives - Leslie Sole promoted to the newly created position of Chief Content Officer and Scott Moore assumes another new position, President, Broadcasting. Leslie Sole will be responsible for the creation and execution of the Rogers Media content strategy. Prior to this role, Leslie oversaw the expansion of the Rogers Television division. From one multicultural television station in 1986, the division now includes five Citytv television stations, five OMNI multicultural television stations and three specialty services. Newspapers have what it takes to survive well into the future, but their survival is going to rely on finding increasingly new and innovative ways to monetize their content -and not just putting up pay walls. That was the message from Paul Godfrey,(pictured) chief executive officer of Postmedia Network Inc., who spoke at the Audit Bureau of Circulation's Media in Transformation symposium in Toronto yesterday. He said everyone is exploring paywalls. But he stressed that innovation was important in monetizing the content of newspapers. about their business, or even post their menus. "Restaurateurs don't traditionally advertise in newspapers, it's just too expensive for them," he said. "But something like that gives them an opportunity to be able to use our platform." Ottawa police won't investigate phony names appearing on a peition opposing Sun-TV. Not a criminal offense, they said. Actually, it should be you ain't seen red. The red ink at Indigo, that is. Indigo posted a $1.7 million loss in the Q2 of its 2011 year. Never mind, Indigo is going to fiddle with its formula again. The gifts and toys plan. Good luck. You would have to look hard to find a subject of more clear public interest and importance than refugee policy. Thus it's nice that the adjudicator has decided to let the media attend the hearing of the man who came into Canada in a silicone disguise. If ever there were time for reporters to get on their high horse, this is it. "Who is he, how did he do it and why?" 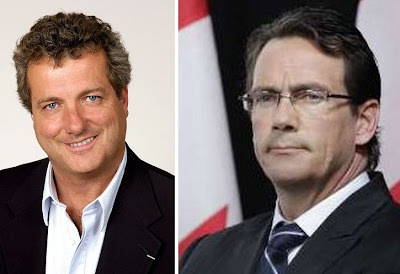 It seems that the CBC's French language presiddent Sylvain LaFrance (left) called Quebecor CEO Pierre-Karl Peladeau (right) a “punk” in a 2007 newspaper interview. This after after Quebecor’s cable subsidiary stopped paying into the Canadian Television Fund. Quebecor had objected to the fact that more than a third of the CTF’s funding went to the CBC, which already receives more than $1 billion a year from taxpayers. The $700,000 defamation trial began today. A Citytv cameraman is in Sunnybrook with serious injuries following a crash on Tuesday evening. The station's website reports that Bill Atanasoff, 58, was on the job when he was hit by a car on Kipling Avenue near John Garland Boulevard. Atanasoff, a long-time veteran at Citytv with 30 years in the field, was taping an SIU investigation. The driver was taken into custody. News broadcasts are being cancelled across the BBC because of this. Latest of Ellen Roseman's efforts revealing how it may be ncessary to appeal to he media to get things done. The covers's main declaration doesn't even seem to have come up in the legal tiff that has seen Maclean's settle with organizers of the Quebec Carnival. That is, Quebec has a reputation for corruption. Unfairness to the snowman, however, has been the issue and it's an easier one to fix. 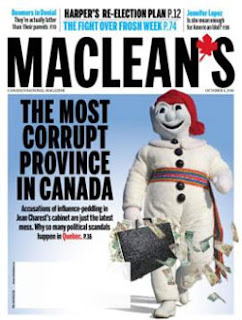 Maclean's will publish a letter saying it didn't mean to to suggest that Bonhomme himself was corrupt. He apparently gave money to some Democratic candidates. Not such an astounding thing but MSNBC has a rule against it. "I became aware of Keith's political contributions late last night. Mindful of NBC News policy and standards, I have suspended him indefinitely without pay," MSNBC President Phil Griffin said in a statement. Well-written piece in Globe and Mail on the Paparazzi. It relies importantly on an interview with Ron Galella, one of the best (or worst). Above, his most sought after subject and her most famous direction to the Secret Service to "smash his camera." The auction site, Classic Auctions, is offering the original negatives of 17 photos of Paul Henderson's goal, beginning with a photo of Hall of Fame Soviet goalie Vladislav Tretiak stopping Phil Esposito's initial shot and on through the goal itself, including immortal shots of Cournoyer and Henderson embracing each other in the jubilant instants following "The Goal", and culminating with Esposito, Bill White, Ken Dryden and the rest of Team Canada joining in the gleeful on-ice celebration. 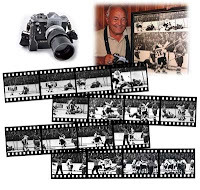 The Nikon camera used by Denis Brodeur (pictured) to record these historic photographs is included, though it is no longer in working order. The minimum bid is listed at $22,987.00. The highest bid so far is just over $20,000. Macedonian, Bulgarian media in spat over Brazil's pres. 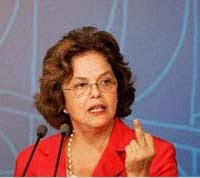 Is Brazil's new president Dilma Rousseff of Macedonian or Bulgarian origin? No one is sure whether she cares about being anything but Brazilian but the two Balkan countries certainly do. Media and web pages have been accusing each other of misleading the public about whether she is from Macedonia or Bulgaria. The Editorial Team of Novinite.com (Sofia News Agency) protests against its mentioning in an article of Macedonian newspaper Dnevnik which contains untrue information about the origin of Brazil's newly-elected President, Dilma Rousseff. The Dnevnik publication from Wednesday, November 3, 2010, entitled "Maiden from Pirin Region Leads Brazil" cites an article of Novinite.com (Sofia News Agency) in a way that might create the misleading impression that Novinite.com (Sofia News Agency) supports the claims of a Macedonian Facebook group and of the Dnevnik newspaper that Dilma Rousseff has "Macedonian" origin. Not dizzy yet and want to read more? Click on the title. News Corp. said Wednesday that its net profit rose 36 percent in the first quarter of its 2011 fiscal year to 775 million dollars, beating the expectations of Wall Street analysts. Revenue at the Rupert Murdoch-owned media and entertainment giant rose to 7.4 billion dollars in the quarter which ended on September 30 from 7.2 billion dollars a year ago. "Our global cable network programming business continues to lead News Corporation?s financial and operational momentum," Murdoch, News Corp.'s chairman and chief executive, said in a statement. A Croatian court sentenced six people to lengthy prison terms on Wednesday for the 2008 killing of an influential newspaper editor whose political weekly had worked on exposing crime and corruption in the Balkans. Eight people, believed to have links to organised crime, have been indicted for the murder of the Nacional weekly owner Ivo Pukanic and another Nacional employee by a car bomb in downtown Zagreb in October 2008. Three of them are on trial in neighbouring Serbia for the same crime, including one, Zeljko Milovanovic, who was indicted in both countries. Milovanovic, tried in Zagreb in absentia, is believed to have activated the bomb planted under Pukanic's car and received the toughest sentence of 40 years in prison. The other five were given jail terms from 15 to 33 years at the end of a nine-month trial held under tight security in Zagreb. All of them had denied any involvement in the murder. The Rasmussen Reports daily Presidential Tracking Poll for Wednesday shows that 28% of the nation's voters Strongly Approve of the way that Barack Obama is performing his role as president. Forty-four percent (44%) Strongly Disapprove, giving Obama a Presidential Approval Index rating of -16 (see trends). Yesterday and last night, Rasmussen Reports conducted surveys with Election 2010 voters to understand what they were thinking as they went to the polls. The voters were angry and ready to repeal health care. Additionally, most voters like the Tea Party, Tax Cuts, and Reduced Government Spending. Fifty-five percent (55%) say that most Democrats in Congress have extreme views. Torstar Corp., publisher of the Toronto Star, posted a third-quarter profit that beat market estimates, helped by growth in its newspapers and digital division. The publisher reported third-quarter net income of $4.1 million, or five cents a share, relatively unchanged from last year when it posted a net profit of $4 million, or five Canadian cents a share. Excluding the losses from CTVglobemedia, where it has agreed to sell its 20 percent stake to BCE Inc for $345 million, Torstar earned 28 cents a share. Revenue at Torstar -- which also owns daily and community newspapers, the Workopolis website and publishes romance novels under the Harlequin banner -- rose three percent to $352.7 million, from $343.7 million a year ago. The Washington Times has been sold for a $1 to a group backed by its founder, Unification Church leader Rev. Sun Myung Moon. The deal closed late Monday after months of wrangling, according to a story published Tuesday on newspaper's website. Sam Dealey, executive editor of The Washington Times, confirmed the sale with The Associated Press. Preston Moon, the oldest son of Rev. Sun Myung Moon, had been running the newspaper since his father turned it over to him four years ago. The elder Moon's group also will take on the newspaper's liabilities. The new ownership will bring back executives that had been ousted last year: former chairman Doug Joo and former publisher Thomas P. McDevitt. The Ontario Court of Appeal has knocked down a long-standing barrier to full public access to the courts, ruling the CBC could see and make copies of exhibits in the Ashley Smith case, including a videotape of the teen’s dying moments in a Kitchener prison cell. Court exhibits have been guarded like state secrets in Ontario’s justice system and reporters are routinely denied access to documents, videotapes and other material that could assist in explaining a case — everything from a summary of the facts surrounding a guilty plea to, in one case, something as innocuous as a photo of a dog. When the CBC applied for access to exhibits filed at the preliminary hearing of four prison guards charged in Smith’s 2007 death, the Correctional Service of Canada argued an open justice system only entitles the public and media to attend court and report on what is said, not access to exhibits filed in a case. Writing for a 3-0 appeal panel Monday, Justice Robert Sharpe squarely rejected that argument, saying the open court principle and the media’s right to access judicial proceedings “must extend to anything that has been made part of the record.”Access to exhibits can now be denied only if there is convincing evidence it would cause a serious risk to the administration of justice and the benefits of denying access outweigh interests such as freedom of expression. American Media,the Boca Raton-based publisher of the National Enquirer, said it plans to file for bankruptcy protection in about two weeks. The company said in a news release that it will initiate a prepackaged Chapter 11 filing premised around a debt-for-equity exchange with a group of bondholders, about 80 percent of which have agreed to support the restructuring. The company, which has offices in New York, also publishes Men’s Fitness, Shape and Star magazines. The company said the bankruptcy should not impact its ongoing operations. Linked off the headline above, and also at the right under the title CNN Live, is a feed of that service. CNN is saying that this live feed will continue through November 2, 2010, US election day. If so, those interested will be able to check the results from their computers when they visit the Planet Guys. B.C. 's highest court has dismissed an appeal by a university newspaper that was ordered to pay $30,000 in damages after a lower court determined it defamed a student at another school. In March 2009, a B.C. Supreme Court judge ordered The Peak, Simon Fraser University's student newspaper, to compensate Joey Hansen for three articles it ran in 2006. The judge ruled the articles falsely suggested Hansen, who was financial services co-ordinator for the student union at nearby Douglas College, misappropriated funds. The Peak and former copy editor Derrick Harder appealed the ruling, claiming the trial judge was wrong to reject their defence of qualified privilege and responsible communication. But the three-judge B.C. Court of Appeal panel agreed the articles unfairly and inaccurately reported the events at student meeting, as well as a forensic review of the union's finances. The three-judge panel, led by Justice Kathryn Neilson, also said The Peak's efforts to get Hansen's side of the story were inadequate. Al-Baghdadia, the TV station in Baghdad that said it was contacted by gunmen during Sunday's church hostage drama, has been taken off air. It stopped transmitting shortly after its building was taken over, reportedly by a large number of government troops. The station says its director and another employee have been charged with terrorism-related offences. At least 52 people died when troops stormed the Baghdad church in which gunmen were holding dozens of hostages. The Iraqi government says it had no choice but to storm the Catholic church on Sunday night: Defence Minister Abdul-Qadr al-Obeidi said the gunmen had threatened to kill all their captives. Al-Baghdadia - an independent station based in Egypt - says its public hotline number was phoned by the gunmen who requested it broadcast the news that they wanted to negotiate. "Recent evidence suggests media cheerleaders do little to change the outcome of political contests, however. "Take a look at the myriad municipal races that have happened across the country this fall. In Toronto, the Star and Globe urged readers to vote for George Smitherman. Rob Ford won, by a landslide." -- Warren Kinsella in the Toronto Sun. Click on the title to read his column.